Instagram is by far my favorite content platform right now. While Facebook has become a giant wasteland for recycled memes and Twitter is full of retweet-happy spam bots, Instagram is still home to millions of content creators posting exciting photos. While that’s awesome, the sheer saturation of the platform makes it tough for people like you and I to stand out amongst a seemingly endless sea of content. However, there’s still a few ways to stay ahead of the curve. Keep it hush-hush, but I’m about to share fifteen of my favorite Instagram marketing secrets with you. They’ll help you publish awesome content, build an engaged following, and who knows - maybe you’ll drive some sales along the way. One of the most important parts of marketing on Instagram is maintaining a consistent and frequent content schedule. 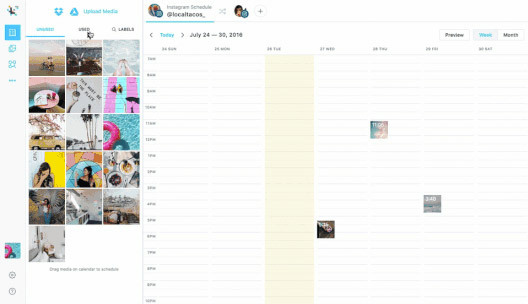 Though a ton of social media marketers know that it’s good to keep a healthy queue of photos, not all of them know there are ways to make content scheduling even easier. Use an app like Later or Buffer to put together a content calendar for your Instagram marketing. The big advantage to using a tool like this is that you can plan your posts long in advance - including hashtags and captions - meaning you can spend less time each day worrying about what to post on Instagram. You’ll have more time to interact with your fans and followers, strengthening your presence on social media. In the landscape of social media, hashtags make the world go ‘round - especially on Instagram. Choosing the right hashtags can make or break your post. They have a huge impact on the engagement your post receives, and can be a huge determinant when it comes to whether or not your content will reach the eyes of your target market. Though there are a few different hashtag strategies, the perfect mix is still up for debate. I’ve found, in my own experience, that the most effective hashtags are those that are either local or directly relevant to your post. Though using hashtags like “#love” or “#friends” might get a ton of likes, they’re usually from bots - and that’s a meaningless vanity metric that won’t get results for your business. Instead, do some research and find what local businesses and companies in your industry are using. Doing this ensures you’re reaching the right people, every time. If you’re still unsure about investing time and money into a scheduling app, have no fear - there’s a solution for you. 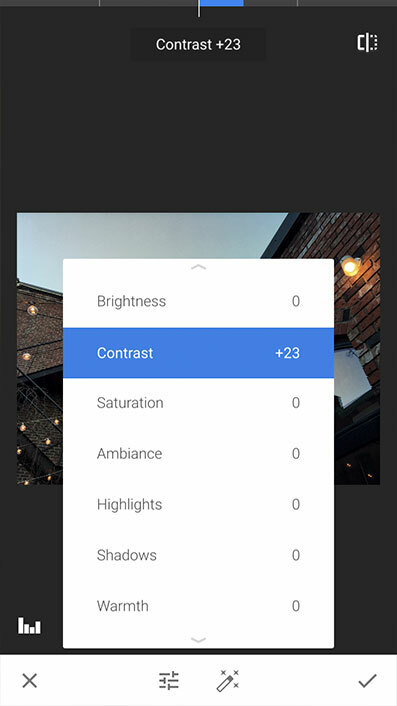 A little-known feature in Instagram is drafts. When you add a photo to the app, write a caption and tag people in it, but choose not to publish quite yet. Instead, you can choose to save your post as a draft. This stores the post in the app (edits and all), enabling you to immediately pull it up the next time you’re looking to publish. Though it’s not quite as good as scheduling your content to a tee, it’s still a great way to keep some ready-to-go content on hand. 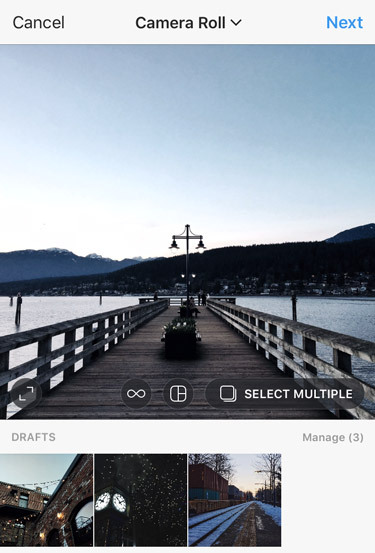 If you find your Instagram strategy is a little more spontaneous, drafts are an awesome feature to have. Okay, I’ll be honest: using editing tools is no big secret. VSCO, Enlight, whatever - you’ve heard it all. In my years using Instagram, I’ve come across a ton of apps that have changed the way I use the platform. I keep my ear to the ground about these things so I don’t fall too far behind - and lucky for you, that means I can pass on my knowledge! Snapseed: Though it seems quite similar to the other editing apps out there, I’ve found Snapseed (a Google product!) to be the most powerful. In addition to an intuitive interface, it has a few power-user features (like a healing brush and curves) that make it the perfect editing tool. Facetune: This is a super-popular app for photo editing. Though it seems to be built for images of people, it’s actually great for touching up photos and giving them that Instagram-friendly shimmer. This is one of my favourite little-known Instagram secrets. Though it’s not for every business, creating a seamless Instagram feed is a visual spectacle that turns your profile into a beautiful and unique gallery for fans and potential customers. A seamless feed is just what it sounds like - editing your photos in a way that makes your feed look like one giant image. To do this, you’ll want to use a template that you can use as a layout for your photos - you’ll need an app like Photoshop to edit in this way. This strategy is great for companies who don’t rely on constant content creation to succeed - it’s a bit limiting in that each addition to your feed will take a little more time. Post content that shows off more than your product; for example, showcase your employees or your company culture. 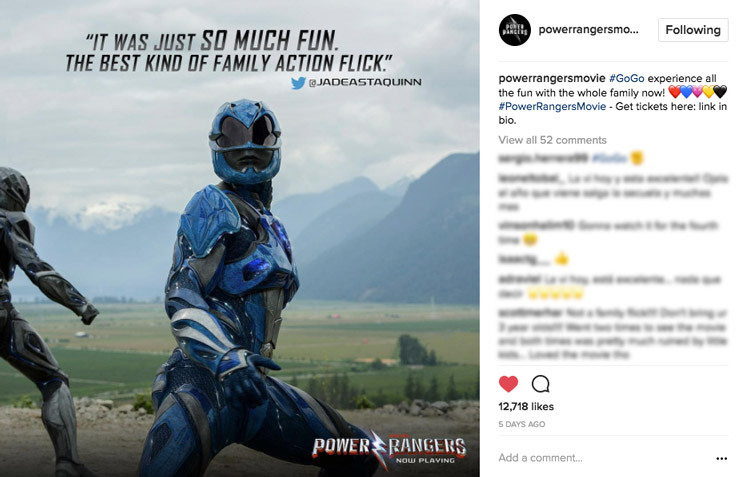 These types of posts are engaging and can help you build stronger connections with your fans, followers and potential customers. When it comes to making purchase decisions, social proof can mean everything. If you’re looking to use Instagram as a way to drive sales for your business, another awesome idea for content is customer testimonials and reviews. It’s one thing to say your product is the best - but showing potential customers what other people are saying can really help build positive customer perception of your brand. Post a relevant photo with text edited on top or in the caption, and tag the person you’re quoting in the photo and the post. If you’re a local business, posting video testimonials can be even more effective. It’s a great content type to add to your arsenal. Really though. 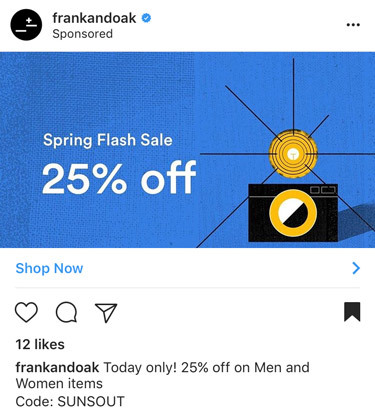 Using Instagram as a platform to share quick discounts and promotions is an underrated way to market. 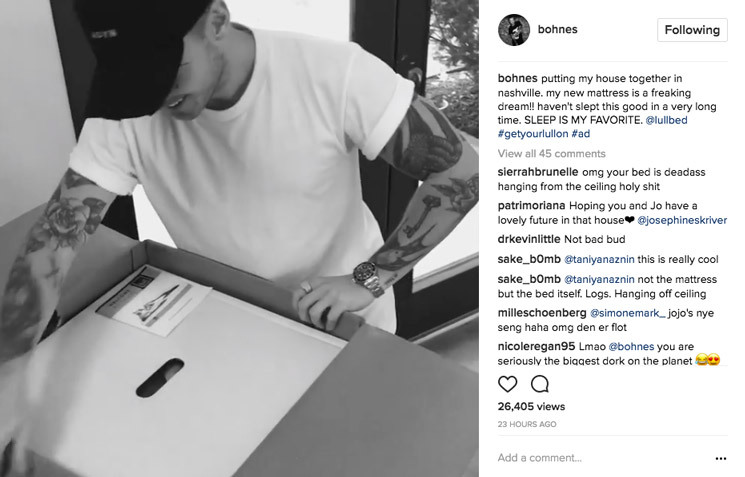 Too often, brands focus too much on building their aesthetic on Instagram that they forget it doesn’t mean much if it’s not really driving revenue for their business. Sharing occasional discounts (in a post or on your story) is a simple way to get fans to act more urgently and become customers. It’s easy for people to admire your products from afar on Instagram. But once they’ve been following you for a while, they may lose interest altogether. Keeping them engaged with promotions will help you steer them away from that indifference. 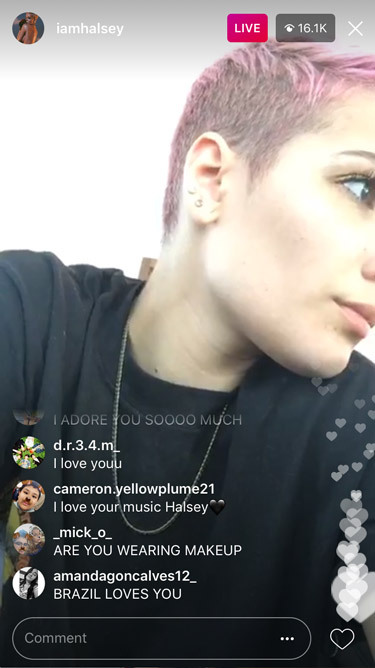 Maybe this isn’t so secret anymore, but Instagram Live is still a powerful marketing strategy that you should consider adding to your repertoire. Brands all around the world are still working tirelessly to determine the strategies that work best for Live as a platform - and trust me, there’s a lot of them. Depending on your business goals, you can use Live in many different ways. If you’re looking to strengthen your brand’s connection with fans, a Q&A is a great place to start. Live can be used for a ton of other purposes, though, like teaching fans how to do something or simply keeping them updated with the latest news on your brand. Though Instagram Stories is pretty widespread now, what remains secret is how exactly to best utilize the (shameless) Snapchat lookalike. What’s so important about Stories is that they’re the only way to guarantee a position at the top of your followers’ feeds - the most recent Stories show up first, as opposed to regular posts which are sorted based on user activity and Instagram's algorithm. 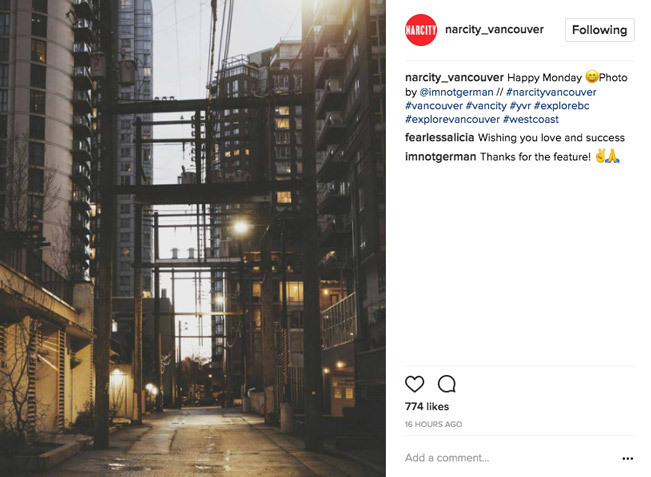 Highlight new posts: Drawing attention to your new Instagram posts can draw attention to your profile and increase engagement on your newest contest. Run contests: Running a simple contest on your Story gets followers engaged with your brand and products. Highlight promotions: If you have a current sale, highlight it on your Story with a link to your website. The “Carousel” feature is Instagram’s latest platform update. 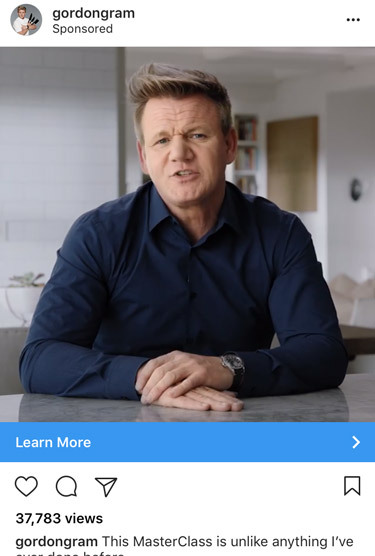 Previously available only to advertisers, Carousel is an underutilized way to spice up your Instagram content calendar. It’s a simple change that allows you to post multiple pieces of media (photos and videos) to a single Instagram post. Though this can obviously be used in many different ways, the most exciting uses of it that I’ve seen were when the format helped tell a story. Because of the way it’s laid out, it’s perfect for showing a collection of images that create a narrative for viewers. Of course, simple product shots will do, too! Influencer marketing is huge on Instagram. If you’re an avid user like I am, you see promoted posts all the time from “tastemakers” with big followings. Yet, rarely do I see smaller businesses take advantage of this type of Instagram marketing when trying to build a following. To utilize influencer marketing, you’ll want to do some research into big Instagram figures within your industry. Reach out to them to create a partnered post - they’ll know what to do. This is such a powerful Instagram marketing secret because it allows you to tap into parts of your target market that you might otherwise be unable to reach. Adding in a coupon code to sweeten the deal will make the returns even greater for your business. When I think about how many e-commerce businesses are around these days, I’m surprised more aren’t taking advantage of monetization platforms like Like2Buy or Have2Have.It. 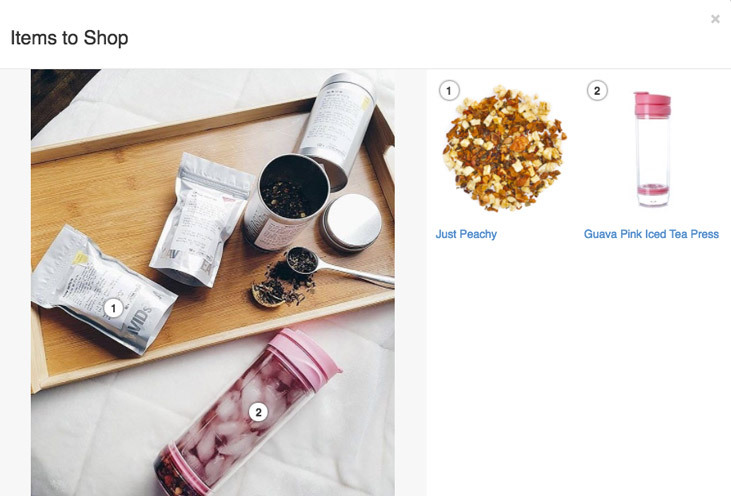 Basically, these platforms make it easier for your Instagram fans to find the products you promote on your feed. Once you’ve signed up for one of these services, make sure that’s the link in your bio. That way, you can add CTAs to your product photos that say things like “Like this look? Shop the link in our bio.” It reduces the amount of effort a visitor needs to put in to become a customer - and that’s always a good thing. 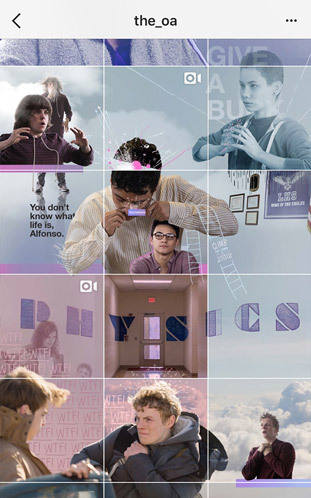 Instagram Ads aren’t quite a secret, yet not nearly enough brands take advantage of them. When we run campaigns for our clients here at Wishpond, we always recommend they run ads on social media - particularly on Instagram and Facebook. Because of the platform's powerful targeting, you’re able to advertise directly to the people you know will be most interested in your product. On top of the obvious benefit of reaching new potential customers, ads allow you to add CTAs, meaning you can send ad viewers to landing pages within your website so they can purchase your product. Sometimes, you need to pay to play - but ads are definitely up there in the bang they’ll drive for your buck. Finally - the best-kept secret of all. 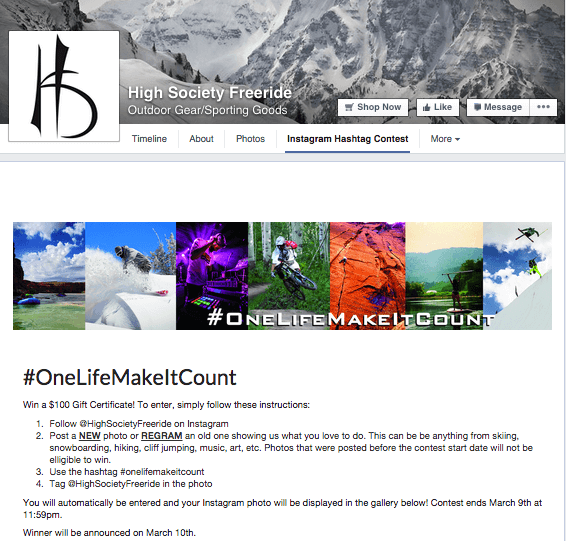 Though contests are common on Instagram, running a themed hashtag contest helps you create a single cohesive campaign. Create a campaign-specific hashtag (for example, “#WishpondSummer2017”) and get entrants to post photos using the hashtag, tagging your brand in the caption and the photo itself. Contests build excitement for your brand and can help you rapidly grow your social following. If you’re so inclined, you can actually run your contest on an external page to generate leads for your business that you can market to in the future on through email. If that’s not quite your cup of tea, you can still look to run a hashtag contest on a third-party app, so you have a great-looking gallery of entries. Plus, you can follow-gate your contest, meaning you’ll be able to reach these interested fans in the future. If you’re reading this far, you’ve made it to the end. Hopefully, you’ve learned something from the Instagram marketing secrets I shared with you. Are there any I missed? 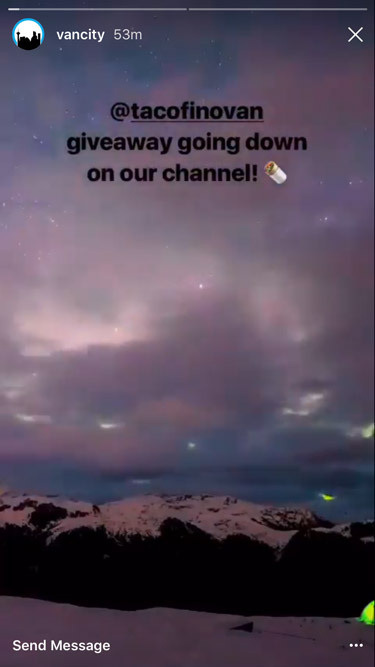 Any Instagram secrets of your own you’d like to share? Let me know in the comments below, and happy Instagramming!